This series of blog posts will look into the tactics and methods behind increasing customer engagement in feedback surveys, including desirable rates on engagement and the reasons behind engagement of the lack of it. Customer feedback and the Net Promoter® process can drive customer engagement and improvement in your business but only if you first engage your employees. Why is a very powerful word. One of the most popular Ted talks of all time, over 19 million views, asks you to start not with the how of your business but the why of your business. 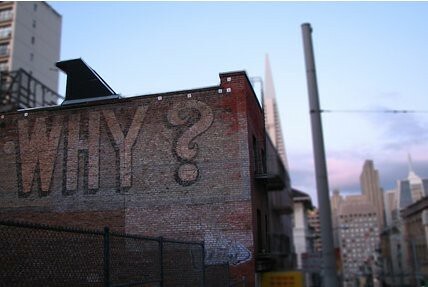 Why asked 5 times is the basis of the incredibly powerful 5 Whys root cause analysis technique. Young children find out how the world works by asking why a seemingly endless number of times. The only reason we collect customer feedback, including Net Promoter ® is to understand how we can improve the customer experience and lift profits. Often this impacts the organisational structure, but driving change in this area can be difficult. Beatrice Hofmeyr having identified this issue and is doing something about it. She is currently collecting practical, best practice techniques from real Australian organisations. In today’s guest post Beatrice provides some great early findings from the project. Sometimes Voice of the Customer (VoC) practitioners frustrate me. 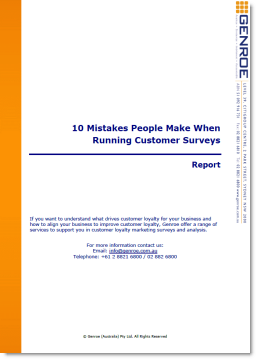 In this recent research, customer feedback professionals identified that their biggest barriers to a more effective customer feedback process were engaging staff and management and understanding loyalty drivers. These are the same people who complain about management not caring about or investing in VoC. The issue is that they themselves are the ones perpetuating the myth that customer feedback is nothing but data collection. They talk about increased sample sizes instead of the business value that informed change is bringing to the organisation.